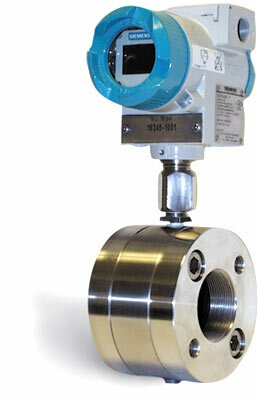 Red Valve’s newest innovation in our line of pressure sensors is the Tank Level Sensor. Many of our customers complained of problems with float, ultrasonic and capacitance sensors when used on slurries and sewage where foam and scum blankets made accurate level reading inside storage tanks difficult or impossible. The Tank Level Sensor from Red Valve is unaffected by these problems because it mounted at the bottom of the tank, and calculates level within the tank based upon a pressure reading. The TL series uses a highly sensitive, solid-state pressure transmitter which is completely isolated from the fluid by an elastomer sleeve and fluid fill. The unit can be outfitted to read pressure in vented tanks or differential pressure in pressurized tanks. It can easily be calibrated for specific gravity and depth of tank. A 4~20 mA output signal is provided and an integral LED displays pressure in any desired units. The elastomer diaphragm allows maximum surface area within a minimum diameter, allowing installation at the very bottom of the tank. The sensor can be mounted to a pipe stub and blind-flanged to allow cleaning in the event of a blockage. The Tank Level Sensor has also been tested for installation on the drain/fill line of a tank, and performs equally well with static pressure or under flow conditions during filling or draining. The Tank Level Sensor is available in 2″ and 3″ threaded sizes, or with standard ANSI flanges in sizes 2″ to 12″.